Flying Low and Passing Through. Flying low is a contemporary dance training style developed by the Venezuelan dancer and choreographer David Zambrano. In such a dancing class you will be asked to copy and repeat different series of exercises, like if you were learning any other type of dance. So, what's the uniqueness of flying low? Its distinctiveness lies in the very unique touch that David Zambrano has given to the use of those principles. On one hand, you can perceive the particular way of executing the moves that he’s discovered through the possibilities of his own body. On the other hand, he achieves to move as fast as possible in a very relaxed way, while charging movement of an enormous vitality. This gives his series of exercises a great force and compelling expressivity. 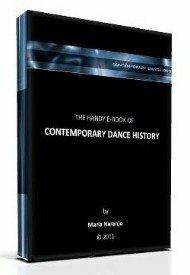 Those of us who have attended contemporary dance workshops for more than ten years now know that the shapes of many of the Flying low’s codified exercises are part of the choreographic heritage of postmodern and contemporary dance, since the endings of the twentieth century. Zambrano himself explains that he built up his dancing technique thanks to the influence of Joan Skinner, Simone Forti and martial arts, among other knowledge. Yet, his unique style, charismatic character, vitality and extensive worldwide work, have evolved into a codified technique and it is nowadays a recognized training method, attributed to a specific figure of our history. This part of his method is very different from what he applies in the Flying low class. In a Passing through session you will be asked to improvise continuously, according to guidelines given by the teacher. In the Flying low class the work focuses on the study of the ‘mechanics of the body and movement’ while this part of the training aims the achievement of performing options. The dancers are pushed to develop their relationship with people around, understanding that the other is not an obstacle to pass but an enhancer, an inspirer or a guide. Other applied issues are the interconnection with the surrounding architectural space, the dancer’s intern musicality and the constant and fast making of decisions. The guidelines for the improvisation allow the participants to use their own moving ways and vocabularies in any circumstance. - Combine guideline 3 with the choreographic vocabulary of a previous flying low session. One common and important aspect of the improvisation sessions is that dancers must maintain a continuous compositional attitude and consciousness. So, the work is not to do whatever comes to the dancer’s will, but to propose responses to the choreographic event that is being composed instantaneously. Find workshop schedules at David Zambrano’s website and at the TicTac Art Centre.